Thanksgiving is a time for unity and a time for family. It is a day to come together with loved ones and express our gratitude. From a teaching standpoint, Thanksgiving provides ample writing opportunities in the classroom-- from turkey crafts to thankfulness essays to pilgrim proclamations. But Thanksgiving writing doesn't just have to happen in the classroom. Thanksgiving is an excellent time for families to write together and to establish writing traditions at home. This is the perfect holiday to model real-world writing for our friends and family members! This tree template can be found at craftionary.net! Thankfulness trees are an easy and collaborative way for families to come together and share their gratitude-- and they are relatively easy to make! Families can create a tree out of felt or paper (or even use a Christmas tree!) and then make leaves out of construction paper. Family members can then take turns writing on the leaves all that they are thankful for. They can hang their leaves on the thankfulness tree and share their "leaves" with each other. The thankfulness tree is a symbol of the family unit and provides a means to focus on the positive aspects of life. The family gratitude journal is an excellent tradition to establish at home with your family this Thanksgiving-- and it's an EASY, no-prep activity to do together! All you need is a journal and a pen! Family members can each take turns writing about what they are thankful for this year and then share their writing with each other. Save this journal and continue to write it in each year at Thanksgiving and reflect back on all of the things to be thankful for from year-to-year. Gratitude journals can go beyond Thanksgiving and can become a family tradition every day! Think of getting journals and notebooks for your loved ones this holiday season to focus on gratitude throughout the entire year! They make great stocking stuffers! Read your favorite Thanksgiving story books out loud together ("Turkey Trouble" by Wendi Silvano is a great one!). Then, get into teams and create your very own Thanksgiving story to share with the whole family. If you want to make it a family-friendly competition, you can sweeten the pot by coming up with a prize for the best story-- more pie, anyone? This is a great way to liven up the atmosphere on Thanksgiving (before the football game and after the food coma) and spend quality time with family and friends to create memories that will last a lifetime. Keep these books and share them again for years to come!! 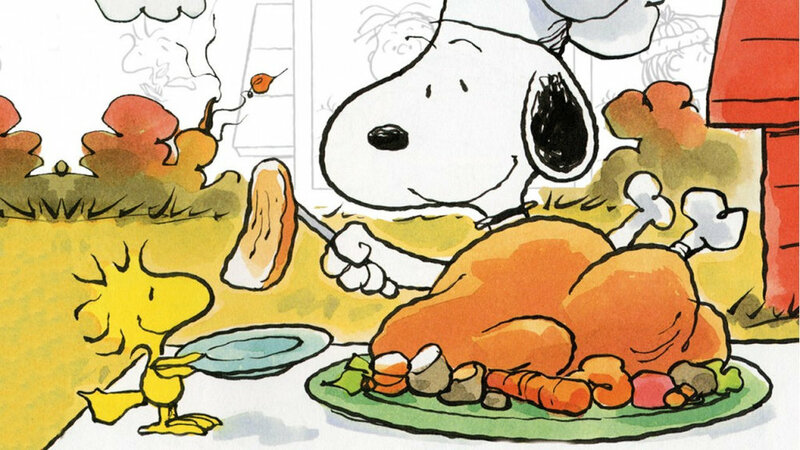 Spend some quality time watching the Charlie Brown Thanksgiving cartoon with your kids. Following, talk with your little ones about the accuracy of the episode. If they are old enough to write, have them write down a few things they learned. If they aren't old enough to write, ask them to draw a picture of the most memorable part of the episode and tell you all about it. Get creative. Watch Free Birds, which loosely parallels the United States' Thanksgiving tradition of pardoning turkeys. Then, get your kiddos involved in a little bit of creative writing. Ask them to take on the persona of a turkey who is vying for that coveted spot of being pardoned to a life of luxurious retirement. To challenge them, ask your children to develop a specific voice. How would a turkey in this situation share his or her plea? Would it be most effective to be humorous, desperate, cunning, argumentative, defensive, or despondent? Write along with your child(ren), and have fun laughing as you share your responses. It's always nice to have quality discussion material to share at the Thanksgiving dinner table. A fun activity is always creating a Top 10 list of what your kids are most thankful for; after all, that's the purpose of the holiday. Talk with your older children about how our culture is very materialistic and "me-centered" and how it's a blessing to have a day set aside to remind us of everything we often take for granted. For an added level of difficulty or intrigue, you could, together, research Thanksgiving and write down the Top 10 most interesting facts about the holiday. It's important to show our children that learning is fun. That it applies to the holidays. That reading, writing, and discussing what we are learning can be a cherished tradition to look forward to annually. Try one (or more) of these ideas this Thanksgiving, and make some memories you can share year after year. An English teacher for over a decade, Melissa is an avid reader and writer, and she loves sharing ideas and collaborating with fellow educators. Melissa use her degrees in English, Curriculum & Instruction, and Reading as well as her Reading Specialist certification to ponder today’s educational issues while developing resources to help teachers, students, and parents make learning more relevant, meaningful, and engaging.